Gifts in a jar are one of my favorite things to make. I love giving them just as much as as I love receiving them. Just knowing that someone took the time to put together something so heartfelt. I started making homemade gifts from the kitchen back when my children were little. Money was a bit tighter than it now, so pinching pennies was everything. Year after year and holiday after holiday was spent in the kitchen baking and creating all sorts of goodies. I found that people really love receiving special holiday treats, so I still continue the tradition today. 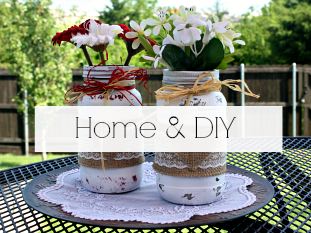 Homemade gifts in a jar are a fun, frugal, and easy holiday gift to share with loved ones. 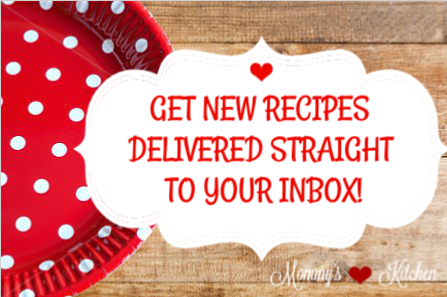 You can make brownies, muffins, cookies, soup mixes or even cake mixes. Gifts in a jar are really easy to make, just simply layer the ingredients of a favorite recipe in a jar, add a festive ribbon and a tag. That's it and you have a thoughtful gift made with love. Since Fall is fast approaching I thought I would make a few harvest gifts for teachers, family and friends. 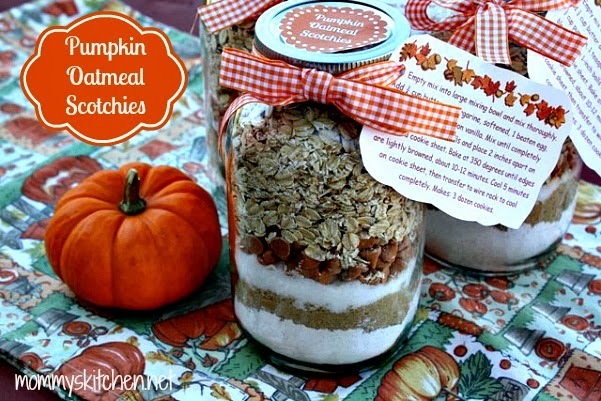 I chose to make a cookie mix, Pumpkin Oatmeal Scotchies. 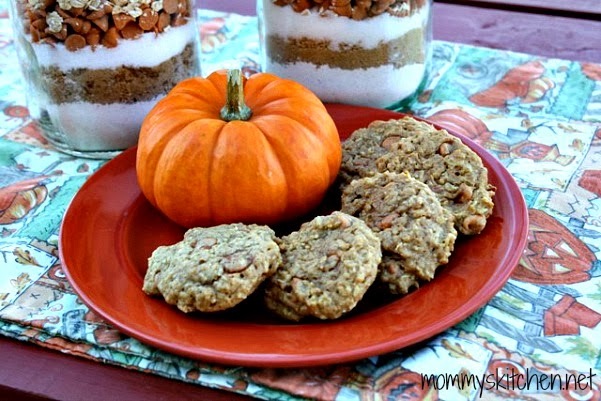 The first time I made Pumpkin Oatmeal Scotchies was back in 2009 and I've been hooked on them ever since. The butterscotch and pumpkin compliment each other perfectly. 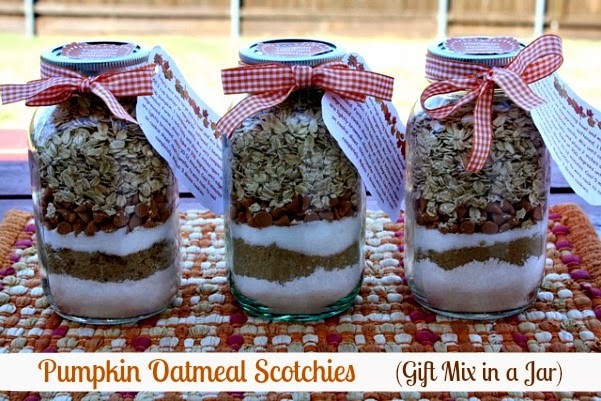 I adapted this recipe just a bit to make a smaller batch for gift jar mixes. I think they turned out perfect. 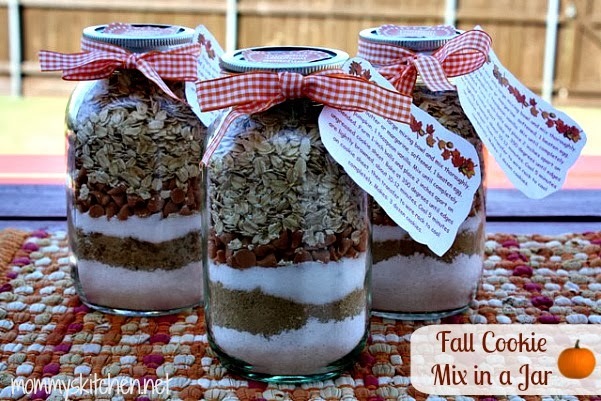 These fun little jar mixes can also be a starting point for a gift basket. My favorite thing to make are Harvest or Fall Gift Baskets. Just add a cookie mix and a few other items and you have a affordable festive gift. For this particular gift basket I added a cookie mix, mini fall spatula, pumpkin salt & pepper shakers and a bag of candy corn m&m's. I used fresh pumpkin puree to make my cookies, but another thought would be to include a can of pumpkin. 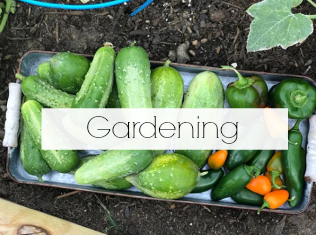 A few other ideas are pot holders, kitchen towels, a whisk or a festive candle. Fall Baskets make nice teacher or hostess gifts. I like to take a gift basket to my mother in laws house at Thanksgiving. My mom always taught me never to show up empty handed when invited to a dinner party. Small gestures really do go a long way and your hostess will love being greeted with a wonderful gift basket. 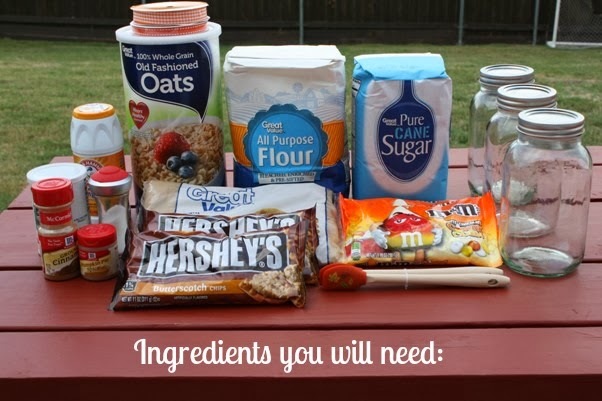 These are the ingredients you will need: Old Fashioned Oats, flour, sugar, brown sugar, cinnamon, pumpkin pie spice, butterscotch chips, baking soda, salt, mini fall spatulas, fall ribbon, Quart size canning jars, and holiday m&m's. I got everything I needed at my local Walmart. The fall ribbon was found in the craft department and the mini spatulas were hanging in the baking isle. Sift flour before measuring. In large bowl, combine flour, cinnamon, pumpkin pie spice, baking soda and salt. butterscotch chips and oatmeal. Push down each ingredient with a wooden spoon as you tap the jar on the counter to help pack it down. Top jar with lid and ring, and tie with a festive ribbon. Print appropriate number of tags and recipe cards. Cut gift tags apart and attach through the ribbon. Add the title tags on top of the jar lids. You can use card stock or regular paper. 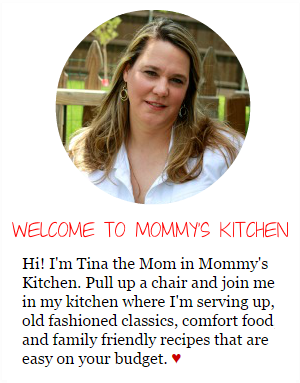 Cook's Note: I used a canning funnel on top of a 1 quart size jars with necks to easily add each of the ingredients. People keep asking how I fit 5 cups of ingredients into a 4 cup jar. First off the flour is sifted, so this means when you add it to the jar it packs down in less space. I also use a wooden spoon to pack each layer down as I tap it on the counter. Empty mix into large mixing bowl and mix thoroughly. Add 3/4 cup butter or margarine, softened, 1 beaten egg, 1/2 cup pumpkin puree and 1 teaspoon vanilla. Mix until completely blended. Using a cookie scoop form into 1-inch balls and place 2 inches apart on ungreased cookie sheet. Bake at 350 degrees until edges are lightly browned, about 10-12 minutes. Cool 5 minutes on cookie sheet, then transfer to wire rack to cool completely. 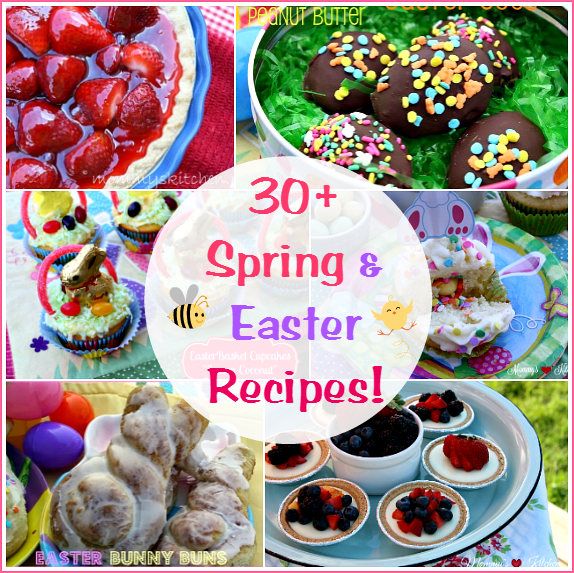 Click HERE to get the printable jar tags and recipe directions to attach. I just cut out the tags and stuck them to the top of the jar with a piece of tape. Use a hole punch to make a hole in the directions and run a ribbon through and tie to your gift jar. I LOVE receiving homemade cookie jar cookies and a whole basket is better yet! You and your mom are so thoughtful. 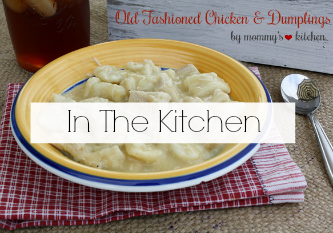 This recipe sounds scrumptious!! Such a lovely gift idea! I've given a number of layered jar gifts, but this one is next on my list. Thanks a million for sharing at Weekend Potluck. Your gift basket is gorgeous!! I am not going to bother with the jar. Ok, maybe our cookie jar. My family will love these. What a lovely gift! The cookies look amazing! Thank you Sheena. I love gift jar recipes. I'm wondering what I did wrong. I used a quart size jar and followed the measurements given in the order given and there isn't enough room for the 2 cups of oats. I could only fit one cup. Is it maybe a typo? It looks like you used much less of the sugars and flour in the picture. No it isn't a typo. I add the one cup sifted flour with the spices added. Are you sifting the flour first? It makes it finer and easier to fit in the jar. As well as tapping the jar on the counter to pack down the ingredients between each layer. 3/4 cup brown sugar, 1/2 cup white sugar, butterscotch chips and lastly the 2 cups oats. It is about 5 cups ingredients but it is important to tap the jar to pack the ingredients. I had noted that in the recipe. I would not recommend decreasing the flour or the brown sugar in the recipe just to make it fit in the jar. Did you bake the cookies and test them out before you added them to the jars? If not the cookies might not turn out. 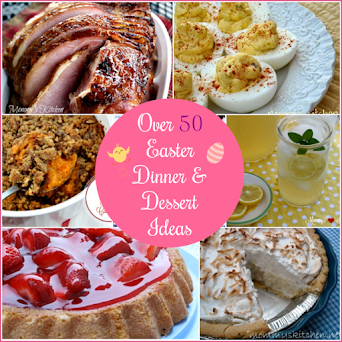 The original recipe was from Organized Christmas and it is the same as I have listed. 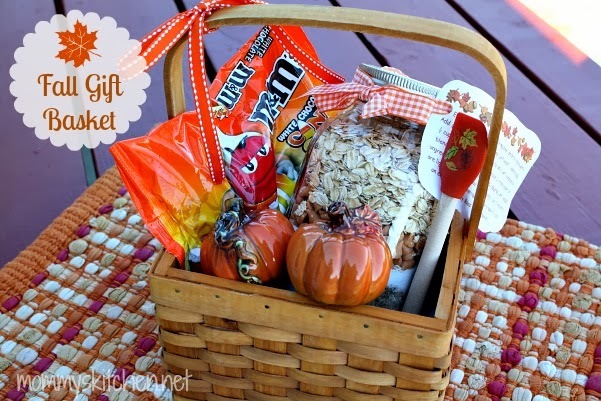 The fall gift basket is such a fun idea! Your cookie recipe sounds great!